Patient References, Reviews, Testimonials | Glenn D. Cohen, M.D. See notes and hear audio comments from patients of Dr. Cohen's. As a parent, Kim, from Hidden Hills, California, felt that she should get a second opinion when a doctor recommended surgery for her 11 year old son's football injury. She is so glad she did! Listen to the results of Dr. Cohen’s non-surgical approach. John from Thousand Oaks, an officer with the California Highway Patrol, sustained a gunshot wound to his hand and feared he might lose the use of his hand. He was very concerned and thought this might end his career. He has since made a full recovery and is back patrolling the highways without disability. Hear John’s story about his gunshot wound (and see the before and after pictures – click on Case 19). It has been about six weeks since you performed surgery on my finger. I wanted to just drop you a short note to thank you, and your staff for a job very well done. From the first visit to your office where you identified the problem, through the surgery and the post-operative care, you and the staff were really great to deal with. I was comforted by your accessibility and patience with my endless questions. The staff took care of everything very effectively, including insurance matters, scheduling matters, calling in prescriptions to the pharmacy that I use, and diligently following-up with me during the post-operative period. I would not hesitate to, and actually have referred other patients to you. Keep up the good work. Just a quick note to thank you both for being so kind to me. Before I met you guys I had been blown off by a handful of doctors who didn't want to take the time to figure out the problem and help me find a solution. You saw my pain/frustration/sadness and acknowledged it and jumped in to help. I see Dr. Itamura on September 30th and I have high hopes. Thank you for your compassion. Niles Bay, a wrestling coach from Moorpark, CA injured his thumb and was told he needed surgery. He went to Dr. Cohen for a 2nd opinion - and was very thankful he did! Listen as he talks about the results from his non-surgical treatment. Jeremy, a Los Angeles firefighter from Newbury Park, CA had a severed tendon in his pinky finger requiring surgery and physical therapy. Robert Otani, former USC football player and current mixed martial arts competitor, chose Dr. Cohen's office after researching hand surgeons on the internet. Being a USC graduate, they shared a common bond and on his first visit he was impressed with the knowledge and professionalism offered by Dr. Cohen and his entire staff. After having his hand repaired by Dr. Cohen, he is completely healed and is now able to compete and live life to the fullest. He highly recommends Dr. Cohen and feels his office is top notch. Listen to his full testimonial below. Over the past few years I have been going to Dr. Cohen for several wrist problems. He was a very kind, straight forward and honest physician. He always tried the conservative treatments first and saved surgery as a last resort. When it came time to do an extreme surgery on my arm, he encouraged me to get a second opinion to make sure there weren’t any other conservative treatments that could be done. Both Dr. Cohen and his staff were always available, whether over the phone or in the office, in any emergency situation. His staff was very friendly and always willing to help with any questions. Thank you for everything that you have done to make my wrist feel better. Linda from Camarillo visited Dr. Cohen's office suffering from wrist and hand pain after a fall. She was impressed with the professionalism, respect and caring she received from Dr. Cohen and his staff. She appreciates all that the office staff did to ease her pain and move her into a state of well-being. Listen as she talks about her experience. Your office staff impressed me from the first time they answered the phone. For an anxiety ridden situation (for me-having never experienced an injury) the experience in your office was incredible. The professionalism and the personal touch in such a calming atmosphere made the visit less traumatic than I expected. Thank You! Words can't express our positive experience(s) at your office. Normally, to end up in an orthopedic surgeon's office would not go in the same sentence with pleasure, but you prove otherwise. Friendly, warm, caring, professional are just the few adjectives that pop in my mind. Both of my children speak of you with love, they actually enjoy to stop by with me at my vitamin shopping visits just to say hi - you really are an extraordinary person. We need more physicians like you! Just a quick thank you for your time. Your phone call clarified many of my questions and fears. I respect your opinions and found them very helpful in reaching my decision. My experience having surgery on my hand has been very positive. The rehabilitation went much smoother and quicker than I planned. I have full use of my hand now, which is very important to me. Thank you. It means a lot to have a doctor who is as gifted and as caring as you are. Hope you know how much you're appreciated. Both my husband and I wanted to thank you for your excellent care of our hand problems. A wheelchair has been donated in your name to the Free Wheelchair Mission. I also very much appreciate your comments concerning my other health issues. A thoughtful contribution has been made to Childrens Hospital Los Angeles in honor of Dr. Glenn Cohen. We are proud to share in this special tribute, which will help the children in our care. Thanks for the great treatment and MRI on my recent visit. I stopped by today to say thank you so much for everything you did for me. I have full use and flexibility in my hand and I owe it to you. Thank you. Thank you so much for taking the time to examine my hands and offer your expert opinion. This will help me in making an informed decision on how to proceed. Marin from Westlake Village first met Dr. Cohen when her mother-in-law, visiting from Australia, fell and broke her wrist while in Chicago. The doctor in Chicago recommended Dr. Cohen to perform the surgery on her mother-in-law's wrist. Because her mother-in-law wanted to return to Australia, Dr. Cohen connected her with a doctor there that could perform the surgery while overseeing her recovery. Marin feels this said a lot for Dr. Cohen because his primary concern was the comfort of her mother-in-law. Two of Marin's sons have also visited Dr. Cohen for broken arms and she was very pleased with the results. She really appreciates Dr. Cohen's service, expertise, and availability and highly recommends him to those needing his services. Listen as she talks about her many experiences with Dr. Cohen. Thank you so much for healing my wrist and helping me during the recovery process. As the new year looms in front of us bringing new opportunities, and a clean slate with it, I am reminded of all the dumb things I did in the past year. I can tell you, with absolute certainty, that breaking my wrist while skateboarding was the dumbest thing I could do and possibly the dumbest thing I have ever done. The way you seized control fo the situation and offered helpful advice and simple, knowledgeable explanations along every part of the healing process leads me to seriously think of becoming an orthopedist in life. Your healing skills and inspiration are truly remarkable and I thank you for that. The skateboard you autographed is now hanging on my wall next to the last cast I wore as part of the healing process and everyone asks who signed the skateboard. May you have zen in 2010!! I was referred to Dr. Cohen from my primary physician. I liked the courtesy and professionalism of the staff. Dr Cohen's office has the best customer service of any doctors' office. I heard Dr. Cohen was the best doctor for hand surgery. I went to his office and everyone was kind and thoughtful, a great staff and very nice doctor. I can't think of anything I would change in the office - the staff is great, Dr. Cohen is a wonderful doctor and I am so glad I came to his office. A much overdue thank you. Last March my son injured his hand in a motorcycle accident. I had been your patient the year before and was thrilled with your work. I called you on a Saturday and you were kind enough to return my call and refer us to Dr. Enass Rickards. I knew anyone you would refer us to would do excellent work. I am pleased to say we have not been disappointed. My son has had an excellent recovery and I wanted to thank you for your part in his recovery. You are an outstanding M.D. and person. Christine Corrales, a business owner from Clinton, NJ fell playing tennis with her daughter while visiting California. She shattered both of her wrists. The plastic surgeon on call at the ER did not recognize that her bone had popped out of her skin. Luckily she visited Dr. Cohen's office the next day and underwent emergency surgery. Read the wonderful song she wrote expressing heartfelt thanks to Dr. Cohen and his staff. I visited Dr. Cohen for carpal tunnel. I am now able to enjoy activities with my children and I am very grateful for that. I had a great experience and enjoyed my visit with Dr. Cohen and his staff. I fractured my wrist last winter while snowboarding and was told at the ER that I would need surgery due to the complexity and location of the break. 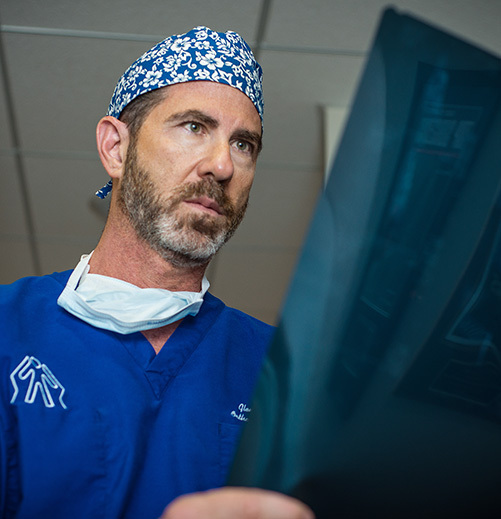 We were determined to find the best surgeon around, with all signs pointing to Dr. Cohen. It was clear upon my first meeting with Dr. Cohen that there would be no need to look elsewhere. His confidence, expertise, efficiency, and charming comportment turned a distressing situation into a much more positive experience. He pays impeccable attention to detail and is a gifted and humble surgeon. After spending a year in and out of Dr. Cohen's office and operating room, he has earned my complete trust and admiration. Both he and his staff are caring, reliable, personable, and professional, and make coming in for a visit a stress-free task. I offer my sincere gratitude for all the care I have received. Jeff from Ventura County couldn't be happier with his surgery and his experience with Dr. Cohen and his staff. He would recommend his wife or anyone else that needs help with their hands. David was involved in an auto accident where he sustained a severe injury to his left hand. He had almost completely severed his index finger and had deep lacerations to the palm of his hand. David met Dr. Cohen in the emergency room and thought he was going to lose his index finger or worse his hand. Dr. Cohen felt he could save his finger and hand and took him to surgery to try and repair it. Today David has full use of his hand. His scars are almost invisible and he is playing the guitar again. Hear David talk about his injury (and see the before and after pictures – click on Case 18). My husband and I wanted to thank you for the excellent care and compassion with which you treated our son. As a result of your expertise, his finger is healing well and he is becoming more comfortable using it with each passing day. Thank you for being such a fantastic doctor-and even more importantly a wonderful person. You have been so good to our family and I can’t stress enough how much respect we have for you. Congratulations on your beautiful new office. It’s always great to see good things happen to good people. Anna from Camarillo is a three-time Dr. Cohen patient. Four months after her wrist surgery - all is good! The professional, warm staff is what I like best about this office. Jo is the best ever. Dr. Cohen spends as much time as you need explaining procedures and/or recuperation/therapy. Stay as perfect as you are! Sue from Westlake Village broke both bones in her wrist and was terrified of surgery, but is back to playing golf again. The appointments are always kept on time. You have a very professional staff. Dr. Cohen is excellent! Jo and the front desk staff is what I love best about the office and Dr. Cohen just keeps getting better!! Cheryl of Oak Park, CA visited Dr. Cohen after her son was diagnosed with skier's thumb. Another doctor recommended surgery for a torn ligament, so she asked for a second opinion. Dr. Cohen believed the ligament was not torn and surgery was not his recommendation. Dr. Cohen diagnosed the problem immediately and treated her son with a cast. With Dr. Cohen's care, her son is playing sports and enjoying activities again. Dr. Cohen was attentive, personable and spent extra time explaining my circumstances. I especially appreciate his thoroughness in doing his own x-rays and catching the existence of bacteria which emergency room had missed. I am moved by the happiness of the office staff and atmosphere. Mostly, I am grateful that such quality care was available to me. Thank you! Thank you! Randy from Camarillo was wary of undergoing carpal tunnel surgery. She now believes that Dr. Cohen is by far the best doctor she has ever seen and can't speak highly enough of him or his staff. Dr. Cohen’s friendly treatment of me as a person rather than just another aching wrist is what I liked best as well as real help of course! The staff was so nice and the casting was fun for my daughter. Jo was super! The receptionist, Tricia was super smart and friendly! Bruce, a helicopter pilot from El Segundo, went to see Dr. Cohen for Dupuytren's contracture, which had left him unable to straighten the little finger on his left hand. He had been advised by another doctor that surgery would probably only straighten it about 70%. When he heard about Dr. Cohen from a friend, he went to see him and was delighted to hear that Dr. Cohen felt they could expect much better results. Hear his story of how Dr. Cohen pushed for a more "perfect" outcome.